When I was a kid, I remember loving the circus. I am not sure that I went many times, but I remember one time going to the circus with my Aunt and Uncle (who, may have only been dating at the time). They had taken me and a couple of my cousins along for the show. At the circus, I think my favorite act is the Trapeze and High Wire acts. There is something that is just awe inspiring about walking, swinging, flipping, and jumping above the crowd. I also like the elephants. They are such gentle giants in the show. Do you live near Cleveland? The circus is coming to town! 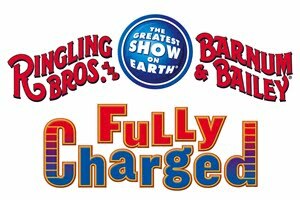 Ringling Bros. and Barnum & Bailey presents Fully Charged is coming to Cleveland at the Quicken Loans Arena, Ocotber 19 - 23rd. "ABOUT THE SHOW Don't miss Fully ChargedSM, the all-new surge of circus entertainment from Ringling Bros. and Barnum & Bailey® where megawatts of thrills explode off of the arena floor with breathtaking dare-devilry, superhuman stunts and never-before-seen performances that energize Children of All Ages! 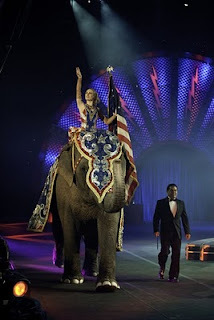 The most electrifying edition ever of Ringling Bros.® celebrates performance power that boosts circus-goers excitement. 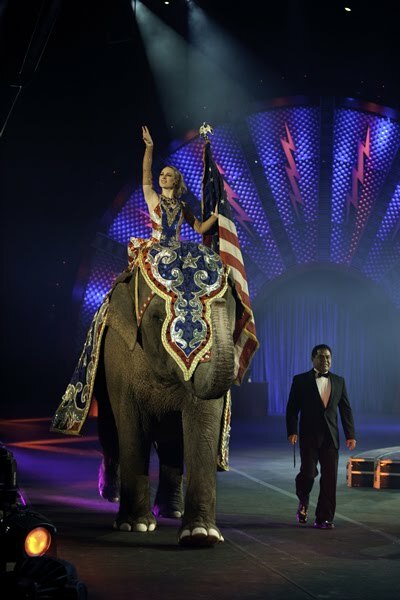 The amazing acts, which can only be seen at The Greatest Show On Earth®, include Tabayara, a dynamic animal trainer whose rare ability to communicate with animals allows him to ride rearing stallions at a fully charged gallop and orchestrate majestic four-ton Asian Elephants in a symphony of dance. When he stands inside a cage, eye to eye with twelve ferocious tigers, Tabayara sees family where others see danger. Audiences will feel the earth shake when the Ukrainian strongman duo of Dmitry Nadolinkskiy and Ruslan Gilmulin, who are as wide as they are tall, enter the arena. The brawny twosome give the word manpower a whole new meaning as they lift large cumbersome telephone poles, which weigh up to half-a-ton, and twirl them above their heads while acrobats balance atop. The Fearless Fernandez Brothers dial up the thrills as they perform daring feats of athleticism on the Twin Turbines of Steel, including, extreme jumps and twists inside the moving wheels! Audiences will crackle with excitement as they watch Guillermo perform a three hundred sixty degree flying forward somersault, three stories in air, a feat so difficult it has only been attempted by one other person in the 141-year history of Ringling Bros.The Human Fuse, Brian Miser, sets the arena sky ablaze as he rockets through the air from his self-made human crossbow. Don't blink as he flashes across the sky in less than a second, and travels 80 feet at 65 miles per hour. Ever wonder how many clowns it takes to change a light bulb? The hilarious hoopla continues to flow as the clowns from the world-famous Ringling Bros.® clown-alley, charge-up the audiences' funny bones with hysterical silly antics and clownish comedy. You can only experience this current of excitement at Ringling Bros. Fully Charged! Get your ticket for high-voltage fun today!" You can check out videos from the circus on their You Tube page. The winner will receive a family 4 pack of tickets to the Ringling Bros. and Barnum & Bailey presents Fully Charged for one of the shows in Cleveland. You may choose the date you would like to attend. To enter: Leave a comment answering the question: What is your favorite act at the circus? Giveaway will remain open until October 7th at 9 pm. Giveaway is open to residents of the US only. One winner will be selected using a random number generator. The winner will be contacted by e-mail (be sure to leave one!) and will have 12 hours to respond or a new winner will be selected. No compensation was received for this post. All opinions expressed are mine or those of my family. I have the opportunity to take my family to the show, as well as hold a giveaway for my readers as a FFA blogger for this event. My favorite recent circus act is the big ball with all of the motorcycle riders riding around in the ball. It amazes me that they can do that - although, of course, I worry that they'll wreck. The circus has many happy memories for me over the years. I would love to go again! I shared your giveaway and the option to get discounted tickets on Facebook. My favorite act is the clowns! So fun to watch!